Iliotibial band syndrome, sometimes referred to as the “windshield wiper effect” is a condition that typically afflicts long-distance runners and cyclists. It is a common form of tendinopathy caused by repeated muscular abrasions during low flexion extension between the rear edge of the iliotibial band and the external condyle, resulting in an inflammation of the iliotibial tract, typically accompanied by pain in either the lateral aspect of the knee or opposite the external condyle. However, the condition does not universally have a mechanical origin and it may also have an idiopathic cause or be due to primary serous bursitis. The diagnosis of iliotibial band syndrome is primarily clinical and may be confirmed by a range of different clinical tests including the Renne and Noble tests. Pain may be erratically distributed upon exertion of the lateral aspect of the thigh. Pain upon palpitation of the lateral condyle may be accompanied by crepitation of the bursitis. Differential diagnoses include external meniscal damage, a condition of the proximal fibulo-tibial joint, a stress fracture of the fibula neck, external femoro-tibial chondropathy, and finally tendinopathy of the biceps femoris or the popliteus. Currently available treatments for iliotibial band syndrome in the acute phase are rest, icing, and physiotherapy treatment with a view to returning to participation in sport. Following the unfortunate onset of the chronic phase, costly medical treatments are required, even though they may be ineffective. Accordingly, corticosteroid injections are recommended as a result of the inflammatory effect of the friction, with PRP therapy being a recent addition to the range of treatments on offer. If the patient fails to respond to therapy, the ultimate, invasive solution often involves surgery to remove the affected area of tissue. Physiotherapy has a major role to play in the traditional approach to treatment in view of the outcomes that are achieved. 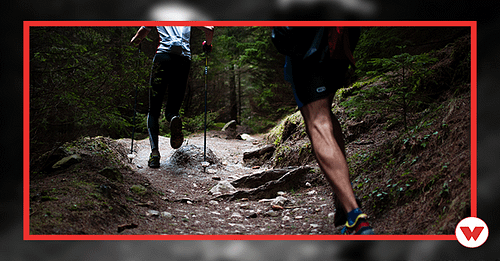 THE POTENTIAL OF WINBACK’S TECAR THERAPY IN TREATING ILIOTIBIAL BAND SYNDROME. Relaxation of the fibrous band, reinforcement of the gluteal area, proprioception and finally, analgesia, are the major therapeutic areas. However, the principal challenge is the difficulty of reaching the various conjoined tissues in a non-invasive manner. A combination of different mobilization techniques and mechanical interventions (such as brackets, MTP, tension relief, and suction techniques) must be correlated with a view to achieving immediate analgesic relief. So, how can muscular tension be relieved by manual, pain-free techniques, reorganizing the connecting tissue, in order to optimize proprioception in the patient and create an optimal path for a return to sporting activity? 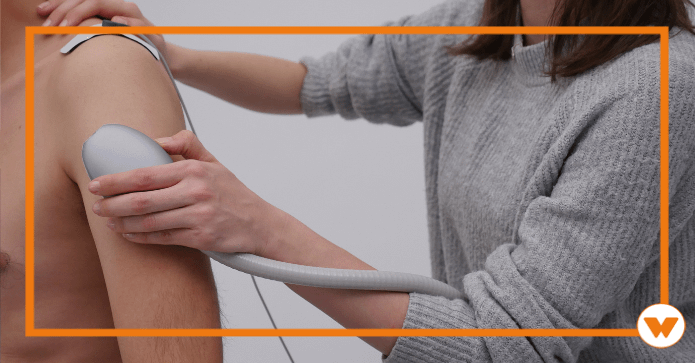 In view of these challenges, over the last two years a large number of therapists (over 500 in France alone) have pragmatically turned towards a new technology based on the emission of high frequency energy more commonly referred to as Tecartherapy. This technology can improve ionic exchange both within and outside the cells, thereby leading to local improvements in the metabolism. During the session, this biological action completes the physical skills of the therapist to provide a complete package of treatment. Feedback from the full range of practitioners reported an achieved success rate of over 95% for the therapy. Our colleagues reported that patients returned to sporting activities more quickly (with times below eight weeks generally reported in the literature) and a significant reduction in the recurrence of symptoms. It is worth noting that, as with any physical therapy, outcomes depend on the individuals involved and therefore it is difficult to conceive of a large-scale clinical trial. 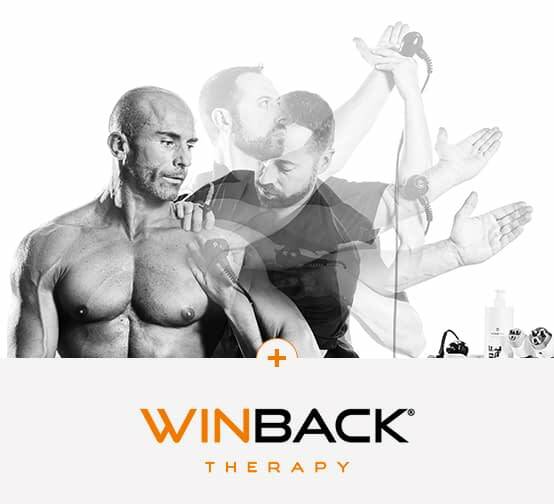 Nonetheless, WINBACK ® is able to offer a variety of technical solutions to therapists in order to enable all medically approved rehabilitative techniques to be given consideration, while retaining an independent, intuitive manual element. 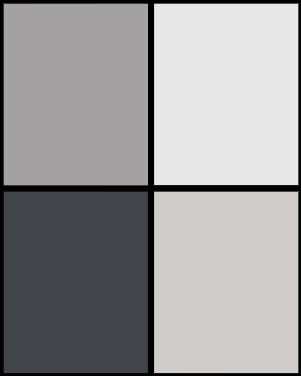 Accordingly, the research and development department has created a range of accessories, electrodes, and emissions frequencies to provide support to practitioners. The treatment protocol is adapted to the patient’s situation and to the therapist’s expertise, always taking into account the key technical aspects to ensure that the affected tissue is reached. The patient experiences a pleasant sensation of warmth known as diathermy as well as an increase in local vascular circulation. This endogenous warmth, caused by the activation of the muscular tissue, is adjusted to suit the severity and nature of the inflammation. Research into the effects of a more pronounced application of heat to tissue with limited or poor vascular circulation as a result of enthesis or chronic inflammation may also be worthwhile. 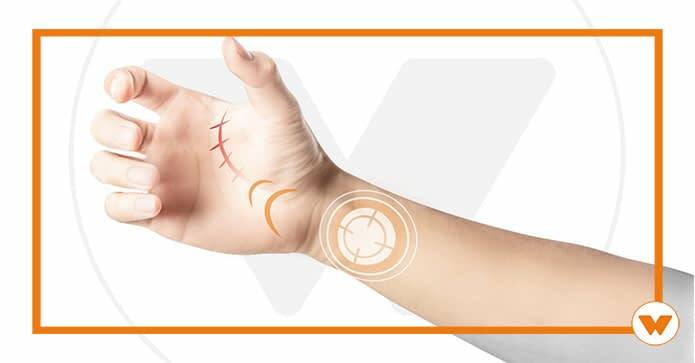 In the initial treatment stage, a “capacitive” mode enables all soft tissue to be treated locally and instantaneously through the use of a range of frequencies. With a clinical context of iliotibial band syndrome, this capacitive application via massage is applied for four to five minutes to all periarticular muscles, and more specifically on the outer surface of the body, from the femoral region to the buttocks. 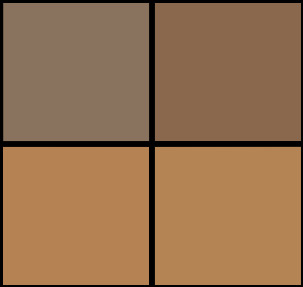 The primary and secondary analgesic effects of “Deep capacitive” mode even reach deep into the bursa. A “resistive” mode enables poly-articular solicitation of the joint. Resistance levels are induced via the impedance of the tissues in response to dynamic and manual approaches. Thus, with a wide range of fixed and mobile electrodes, all techniques – whether manual or mechanical and whether passive or active – are compatible with the resistive mode. This gives us the ability to effectively increase the flexibility of the fibers of the iliotibial band through stretching, bracketing and MTP. The patient can also perform all gymnastic exercises by using the resistive mode. For other examples of protocols, contact your physio for more information. The mechanical effect on the tissues triggers an immediate, non-invasive biological response that enables sports therapists to achieve a noticeable regulation of the inflammation in respect of the external condyle, even during the initial sessions. In conclusion then, Tecar therapy is a modern alternative to the management of physiotherapeutic treatment, and not just for iliotibial band syndrome. 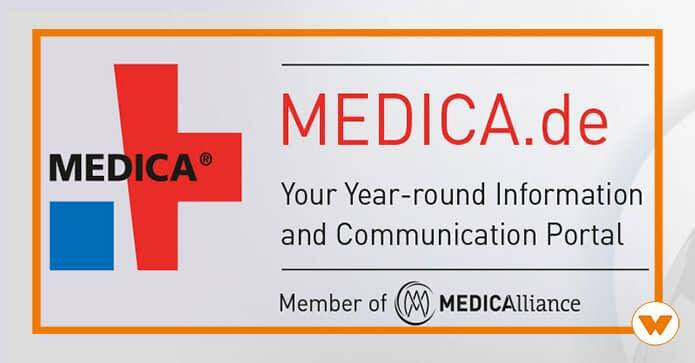 The effectiveness reported by our trained and suitably-equipped colleagues enables the formulation of an effective therapeutic approach. Finally, Winback ® therapy represents a low cost investment that is well within the financial reach of patients suffering from iliotibial band syndrome. 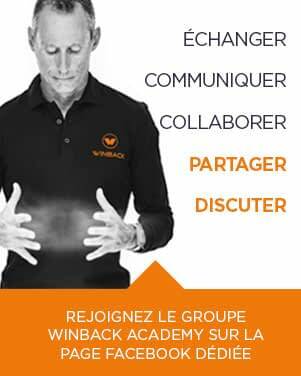 Winback Academy forme les utilisateurs de la technologie et réunit plus de 1300 experts, tous animés par la même volonté d’excellence et ambassadeurs de la técarthérapie made in Winback.